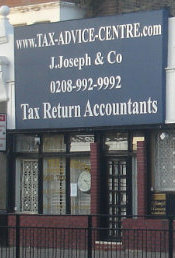 rely on to help with tax, national insurance, VAT and bookkeeping matters. and financial reports quickly and easily. Revenue investigations, tax planning to mitigate tax liabilities. money that you have worked so hard to earn. and enhance our standards whilst creating and protecting our reputation. You can now send your Tax Return for 2017-18 - Call now for fast friendly service !! !